Travelling to Munich with kids? They'll love it. Many city museums have set aside areas for children with interactive displays and playrooms. Other attractions like the "Fairytale Fun Park" are especially designed with kids in mind. There’s no lack of things to do around the Bavarian countryside either. What kid wouldn’t love a visit to theme parks devoted to Lego or Playmobil for example? Or better still, a visit to one of Bavaria’s real fairytale castles and palaces. 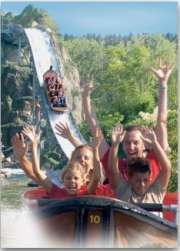 The Munich tourist office sells a Münchener Familienpass with discounts and info in English on heaps of kid-friendly sights, playgrounds and swimming pools. They can also give you tips on current child-focused happenings. Take the little ones on a voyage beneath the waves at the Sea Life München museum, which opened in 2006. Over 10,000 creatures of the deep reside in over 30 large tanks. What kid hasn’t already heard of classic German fairytales like Snow White, Hänsel and Gretel or Little Red Riding Hood? At the Freizeitpark Märchenwald (Fairytale Forest) over 20 fairytales on display which the little ones can bring to life with the press of a button. Munich is home to Europe’s biggest circus, the Zirkus Krone. You could attend a show with acrobats, clowns and animals, or go along to the petting zoo where kids can get to know said animals. 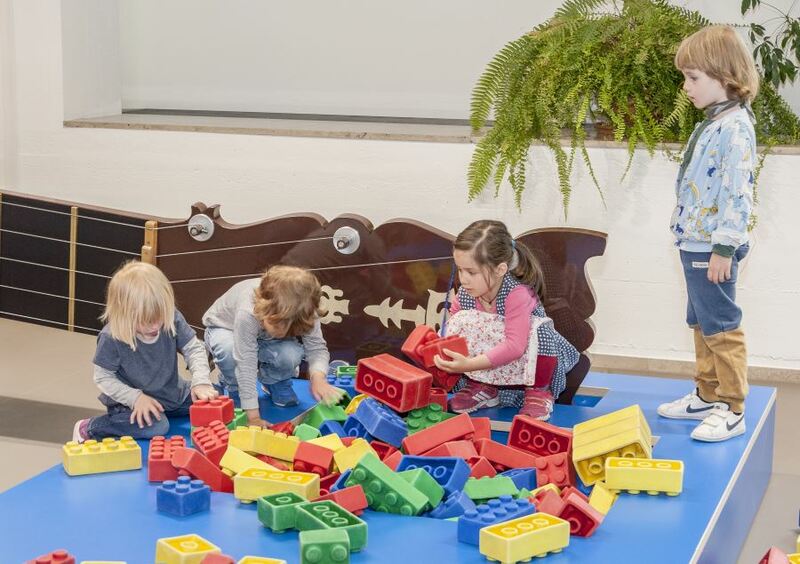 Your kids could find seventh heaven in Munich’s Obletter Spielwaren. It’s probably the city’s most famous toy store and spreads out over several levels at the Karlsplatz-Stachus central square. 6. Zoo – The Munich Zoo (Tierpark Hellabrunn) is one of Germany’s biggest with over 450 species of animals. They’re grouped continentally into Africa, Europe, America, Asia, Australia and even Antarctica. It's a highlight of Munich for kids of any age. 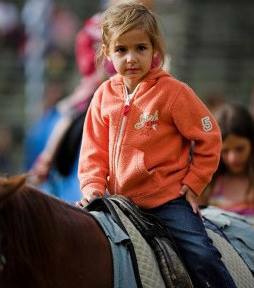 There is a petting zoo, pony and camel rides for children (website here). Why not take the kids up to one of Munich’s church tower lookouts at the Frauenkirche or the Alte Peter? The views are great and the climb up the hundreds of wooden stairs might wear them out enough for you to catch your breath! 8. Beer gardens – Munich beer gardens are designed to be family friendly and many have playgrounds to keep the kids happy while the grown-ups are enjoying a drink. The Hirschgarten even has a petting zoo with little bambis running around and the Chinesischer Turm (Chinese Tower) has a magnificent old-fashioned carousel. Just near another beer garden, the Seehaus in the Englischer Garten, is a lake where you can rent out paddle boats and go for a spin around a trio of mini-islands. These seven Munich museums appeal to young and old as they have children’s areas or themes of interest to kids. 1. Deutsches Museum – The world’s biggest science and technology museum has hundreds of interactive displays and 'Children’s Kingdom' for the little ones. 2. Nature – Kids can explore the natural world at the Museum of Humankind and Nature (Museum Mensch und Natur) which has displays stuffed with animals, dinosaurs and fauna. 3. 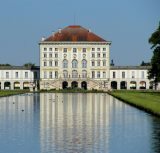 Movies – Munich’s Bavaria Filmstadt film studios has lots to interest children including the sets from the Asterix films, a stunt show and a 4D cinema. 5. 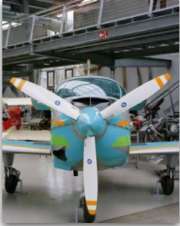 Aeroplanes – The Deutsche Museum’s Flugwerft Schleissheim exhibits dozens of aircraft for kids who want to spread their wings. Children can get into a real cockpit to wiggle the landing flaps and learn about the history of flight at a 'Flying Circus'. It's in Munich's north separate from the rest of the Deutsche Museum.Visit its website here. 6. Toys – There is a dedicated toy museum in the tower of the Altes Rathaus (Old Town Hall) on Marienplatz. Exhibits are for looking, not touching, and your kids might get a bit edgy. There are thousands of old toys and special exhibits on Barbie, robots and teddy bears. 7. Cars and motorbikes – The space-aged BMW Welt dealership has a few nice interactive displays and motorbikes kids can sit on and pretend they’re Valentino Rossi. Ice skating – In December there’s an ice skating rink set up just for kids above the fountain at Karlsplatz-Stachus. Festivals – Annual Munich festivals including the Oktoberfest, Auer Dult and Spring Festival all have rides and carousels to keep the young ones entertained, but it’s best to keep them away from the beer tents in the evenings. I can imagine few things more exciting for a kid than to be taken to the Kaltenberg Knights’ Tournament which takes place near Munich in July. There's a lot to do and see around Munich for kids to enjoy. Check out these four ideas for day-trips into the Bavarian countryside. 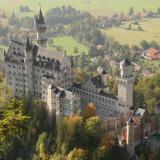 Neuschwanstein – Want to see the building that Disney’s Sleeping Beauty Castle is based on? Neuschwanstein Castle south-west of Munich is surely one for the whole family. Legoland – There’s a theme park built from over 50 million of the classic bricks two hours west of Munich in the city of Günzburg. There are rides and roller coasters, a "pirate land" and a "knights’ kingdom". ▪ Bayernpark – This all-round fun park has an indoor pool with slides, an elevated railway, a climbing wall and a plethora of rides for kids. I hope this page has given you a few ideas on what to do with in Munich for kids! • Check out our new guide - Eating out with kids in Munich - 10 places parents won't want to miss.